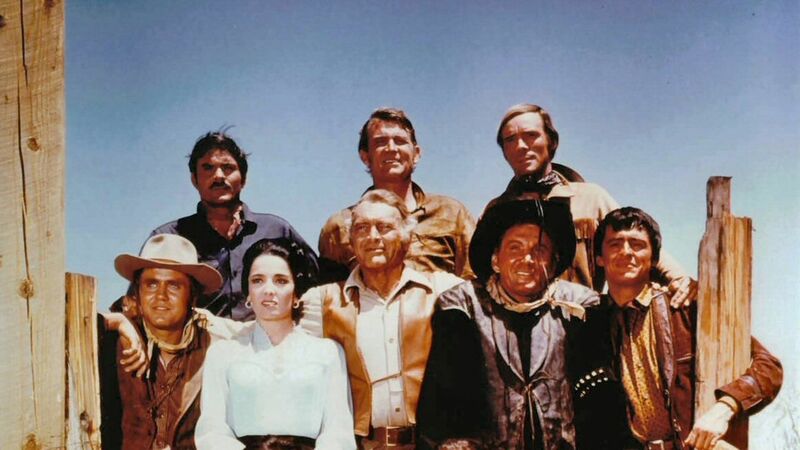 Here's where to watch every episode of The High Chaparral season 4. Mouseover or tap an episode to see where to stream it. Click or tap the play icon to stream it on the best available service. Spokes Sep 25, 1970 Needing to get away temporarily from the rigors of ranch life, Buck chooses the raucous Fourth of July holiday for the time and the roughest town in the territory for the placeSoon after his arrival in Spokes, a lawless community run by tough China Pierce, Buck witnesses a saloon shootout in which Pierce's son Bud is killed by Jones, an old friendless trapper who is seriously wounded. Although it was a fair fight, cowering townspeople refuse to help Jones, so Buck goes to the man's aid and then mounts a vigil to await the inevitable explosive confrontation with Pierce. Only the Bad Come to Sonora Oct 2, 1970 A half-breed Indian lad whose life has been saved by men of the Cannon ranch strives to repay the debt.John Cannon, Buck and Manolito intervene when ranchers Fraley and Henderson attempt to hang Wind, whom they accuse of rustling cattle. The boy's indebtedness later figures significantly in the defense against a series of mysterious and costly raids on a major cattle drive. Wind Oct 9, 1970 Returning home from a visit to her father's ranch, Victoria and her escorts Sam and Pedro find infant Joey, the only survivor of an Indian raid on his parent's wagon. When the boy's grandfather, Dan Casement, spared only because he had gone ahead to scout for water, insists on leaving with the child, a concerned Victoria balks, insisting that she can better care of the baby en route to the safety of the Cannon ranch. Relenting, Casement joins them in their slow trek across the desert while Indians stalk them, awaiting the best time to attack. A Matter of Survival Oct 16, 1970 Returning home from a visit to her father's ranch, Victoria and her escorts Sam and Pedro find infant Joey, the only survivor of an Indian raid on his parent's wagon. When the boy's grandfather, Dan Casement, spared only because he had gone ahead to scout for water, insists on leaving with the child, a concerned Victoria balks, insisting that she can better care of the baby en route to the safety of the Cannon ranch. Relenting, Casement joins them in their slow trek across the desert while Indians stalk them, awaiting the best time to attack. It Takes a Smart Man Oct 23, 1970 Fearing for the life of his threatened brother Buck, John Cannon accepts the demands of a blackmailer.Confronted by the demands of one-time gunman Tulsa Red, John has little choice but to turn over $5,000 to the man who has threatened to goad Buck into a shootout that John knows his brother will lose. Upon learning of how he was used, an angered Buck takes his own steps to recover the money and his pride. A Good Sound Profit Oct 30, 1970 John Cannon faces alienation of family and friends when he maintains his decision to aid a band of revolutionists.John Cannon, seeing a financial windfall in the sale of guns, ammunition and horses to ill-equipped Mexican rebels, negotiates with their leader over strong objections from his Mexican-born wife, Victoria, and her brother, Manolito. Even when Manolito elects to leave the Cannon ranch for good, John continues his profit-making deals despite the reaction of his family. Too Late the Epitaph Nov 6, 1970 Manolito is jailed in a case of mistaken identity on charges of holdup and murder.En route back to the Cannon ranch from a cattle purchase, Manolito is arrested when mistakenly identified as a member of a gang who held up a gold shipment hours earlier. He is released when an old friend Dave Redman, a fast-rising leader of the community in which Mano is being held, vouches for him. Later, when Mano finds himself framed for murder, he learns who his real friends are. The Forge of Hate Nov 13, 1970 Efforts of a young Apache warrior to make peace with the white man are undermined by the belligerence of his long-embittered tribal chief.Determined to ease the ever-present threat of all-out war, youthful Two Pony negotiates a plan for peace with John Cannon whereby the Indian lad is temporarily housed at the High Chaparral to learn the blacksmith trade. His rebellious chieftain, Grey Wolf, thwarts the peace effort by carrying out a series of harassing attacks against Cannon and his herds. Fiesta Nov 20, 1970 En route to a bordertown fiesta, Buck invites trouble when he befriends a Mexican boy.Buck encounters Homero Jose, an itinerant promoter whose income comes from fights he stages between friendless Mexican youths for anyone willing to wager on the outcome. Repelled by the sight of 11-year-old Beto being beaten, Buck takes him away in hopes of finding him a new home; but a vengeful Jose takes up their trail, vowing to get the boy back. A Matter of Vengeance Nov 27, 1970 Embittered over the loss of his home and grandson in fire during a bandit raid, Casement vows to track down Reese, Gail and Wiley, the men responsible. He trails them to Tucson where his friends of the Chaparral offer to help, but the determined Casement wants to face the men alone. Pale Warrior Dec 11, 1970 Claiming to have been imprisoned by the Apaches for 15 years, a white man is befriended by the Cannons who soon regret their helpfulness.After aiding Talbot whom they find injured, John Cannon, Victoria, Buck and Manolito become suspicious of the man's true purpose for being in the Cannon Ranch area. It is Wind who uncovers evidence to confirm their suspicions. The Badge Dec 18, 1970 In a flashback sequence, John Cannon and brother Buck retrace their lives of years ago when lawman John captures Buck, who is wanted for bank robbery and murder. En route to town for trial, the brothers are followed by Buck's former partners, who are determined to see that the true story never is known. Sangre Feb 26, 1971 An all-out Indian war is threatened when a wounded Apache leader is held hostage at the Cannon ranch.Although the original intent to bring wounded Apache warrior Sangre to the Cannon ranch was to give him aid, his presence stirs up a bitter reaction from his own people and from Lt. Allen, head of a cavalry unit that wants Sangre on homicide charges. The circumstance places John Cannon and his ranch in the middle of an impending battle. The Hostage Mar 5, 1971 This episode involves the suspenseful moments spent by innocent bystanders taken hostage during an attempted bank robbery.During what he hoped to be the last robbery of his crime-filled career, Morgan MacQuarie imperils the lives of a group of hostages including Victoria and Wind. MacQuarie's problems mount when his robbery plan goes awry and the ensuing delay prompts an open defiance among his own men. A Man to Match the Land Mar 12, 1971 Albert Salmi is the sole survivor of an Indian battle who decides to live as an Apache.Needing to fulfill an Army contract for the sale of horses, John Cannon, Buck, Manolito and Wind head for Indian country to round up a wild herd. Confronted by a tribe of embittered Apaches led by White Horse and Red Eagle, Cannon is allowed access to the herd only on condition that White Horse accompany the group with Buck left behind in the Apache camp.